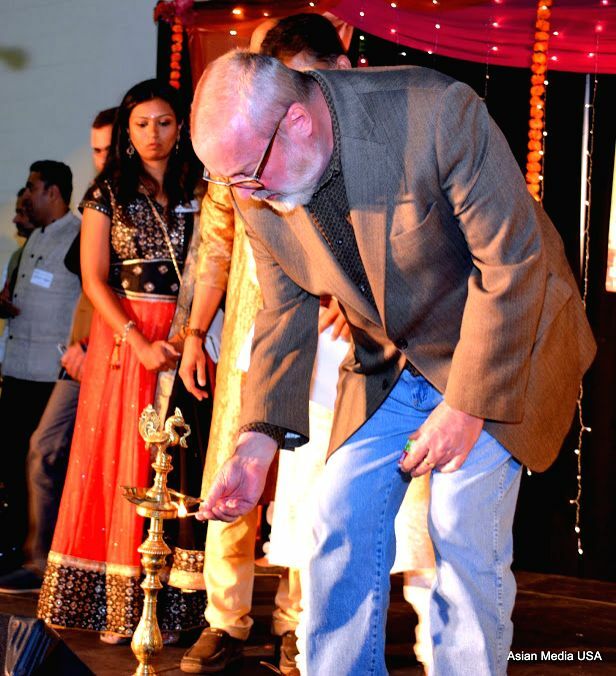 Aurora mayor Tom Weisner lighting the lamp to inaugurate the Diwali celebration. 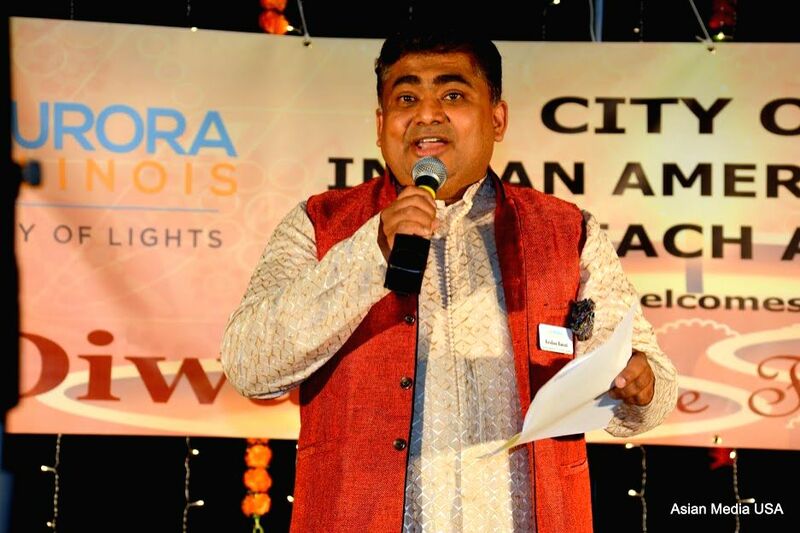 Krishna Bansal, chairman of the Indian American Board of the city of Aurora welcomes the guests. 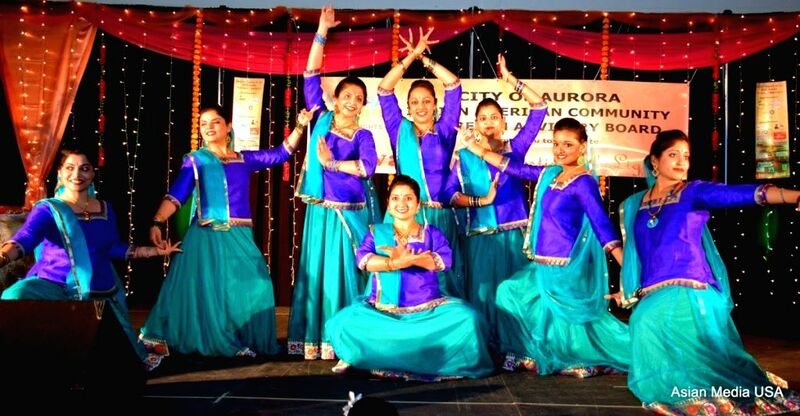 A classical dance performed by young Indian Americans.